In a couple of days, I’ll make another attempt to be good, stay good. Sounds familiar? Also familiar maybe this space on the Web, where I scribble away my thoughts for you to read, roughly this time of the year, every year. Can’t thank you enough to spare me some time at a juncture when in all likelihood you may be quite busy preparing to see off CY 2012 and merrily welcome New Year 2013. Whatever may be your mode of celebration, here’s wishing you a joyous experience. Personally, I don’t expect to see drastic changes to any attributes of my lifestyle, just because a cycle of twelve months is coming to a conclusion in two days time and a new one arriving. And I don’t believe in waiting to flip over one dozen page of a calendar before jotting down a list of life changing items to be performed, and then stare at it later with a sigh of disappointment for not having made a sustained effort to achieve it and to strike each one out as ‘Job done’. Neither do I believe that the spacing of inevitable events in different phases of life, some of which we may like and some we dislike, has any business with the twelve month cycles. Agreed, some things in life will change for sure: like the daily dairy that I maintain. It’ll carry a fresh smell and every single entry in there, I hope, shall carry a positive intent. It’s foolish of me, though, to even imagine that I’ll only have happy episodes to scribe in there. New year or not, pattern of events in life shall remain much the same, with possibly no escape from the dualities of existence. Pray, we develop enough inner strength to accept all events in life with great composure. In retrospection, I’m thankful for all good things happened in the last twelve months, glad to have met many a wonderful people, fortunate to have learned a number of useful lessons, sorry to have made some mistakes, happy to have moved on, regret to have lost few connections and grateful for all opportunities. I wish the coming twelve months brings me in company of many new faces, while I’ll make all efforts to make sure the familiar ones stay closer to my heart. Lastly, the blah-blah above was not the real intention of writing this note, but to make sure I don’t miss an occasion as this to show up and express my deep felt gratitude to YOU for being there for me and helping me stay positive, one way or the other. Thank you! Here’s wishing you and your family a very happy and prosperous Year 2013! Ended this year’s OU classroom sessions with a four day program on ODSEE. For complete documentation on ODSEE, click here. Nostalgia is what I feel when Christmas approaches. Perhaps, because I’ve had my primary education in a convent School or maybe coz I still linger on many many sweet memories of Christmas celebrations with my near and dear from the past. 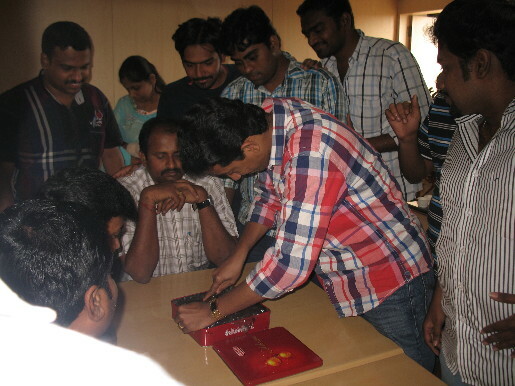 Thankfully, I’m in a profession that brings me in company of some wonderful humans, who some times extend a great deal of generosity by offering to Celebrate festivals in advance and so you see my training participants who turned up for a OU program on Solaris cutting a sweet Christmas plum cake much ahead of X’mas. Thank you is all I can say to ’em. Wishing every one a very Merry Christmas in advance! 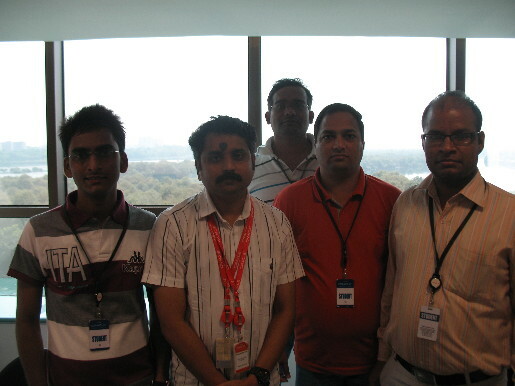 That the popularity of Solaris 11 is only growing is clear from how regular the training sessions have been around this product. It’s such an excitement to be going around sharing knowledge on Solaris, more so to explore the nitty gritty of many new and evolving features. Trust me, it’s only getting better! In the process, just like in the past I stumbled on several individuals, each teaching me a lesson or two. I’m grateful. And if I’ve managed to get over the laziness to come back to the web logs with a collection of class photos from the last couple of months, it’s because of a sense of gratitude to all ’em in the picture below. 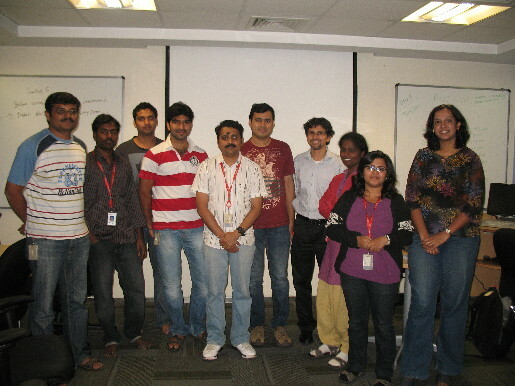 Solaris 11 Network Administration Pilot Teach in Bangalore. 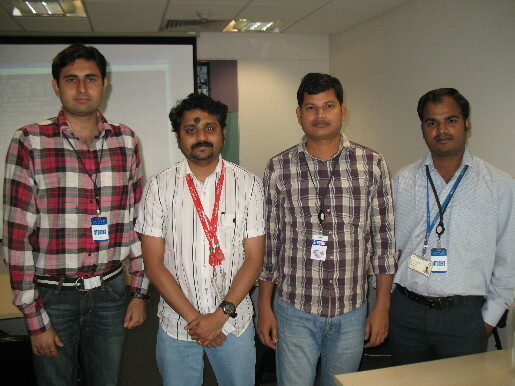 Sun Identity Manager (n.k.a Oracle Waveset IDM) Deployment Fundamentals Training. I’m missing from the snap because these delegates sat well over 10,000 Kms away from where I taught this class from, but were kind enough to help me associate a face with the voice by sending me a group photograph. If you want to attend one such OU program cutting down the travel, try OU’s Live Virtual Class (a.k.a LVC) . 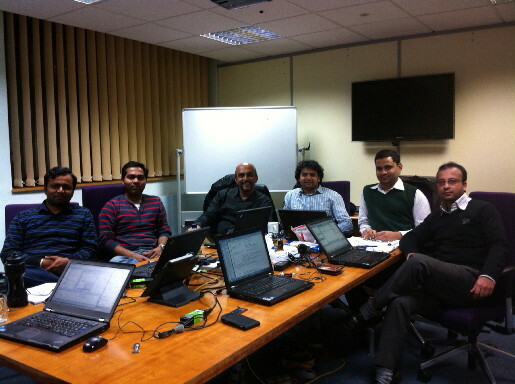 Transition to Solaris 11 in Mumbai. 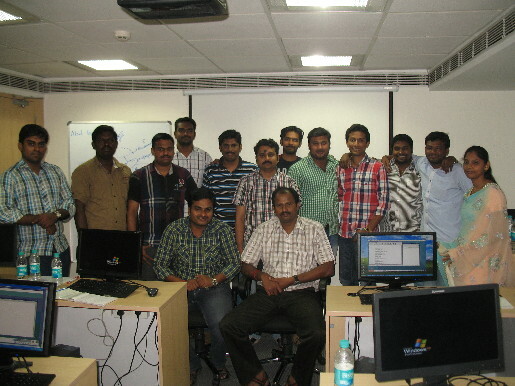 Solaris 11 Advanced Administration Session in Bangalore. Attending Gary Riseborough’s Exadata Training at Singapore. If only the participants of each LVC session belonged to the same location, there would’ve been additional three group photographs occupying this space! Thank you everyone for many many memorable moments.